In this disposable society, it’s a miracle that we have any reminders of days gone by. Children often don’t care for the common household items used by their parents and grandparents or don’t have any place to put it! Faye Michel (pictured above) and her husband Joey are rare exceptions. They unintentionally maintain one of the most extensive collections of 19th and 20th century collectibles – most still in use! Faye’s 1910 oven is still in use. Because of people like Joey and Faye, our collective past is being preserved. Many items have been repurposed without losing their original charm. 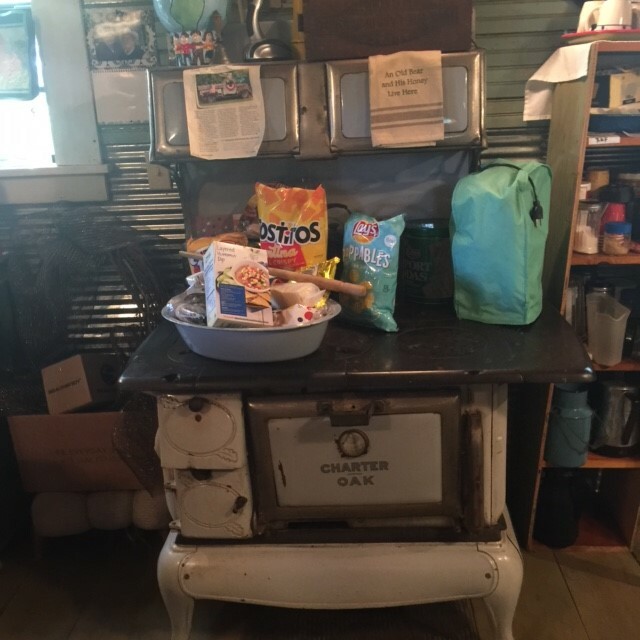 I had the great pleasure of stepping back in time recently when the Michels opened their country retreat to friends. It was a virtual museum of the life and times of the early days of the last century. Although the home is new construction it was crafted from bits and pieces of old homes salvaged from the wrecking ball. I have never seen such creative use of items most people would have committed to the dump. 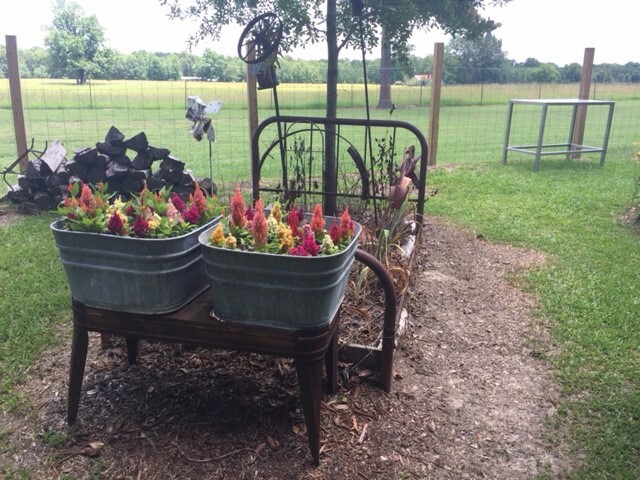 An old wash sink/wash tub has been repurposed as a planter and the iron bed has become a flower bed. 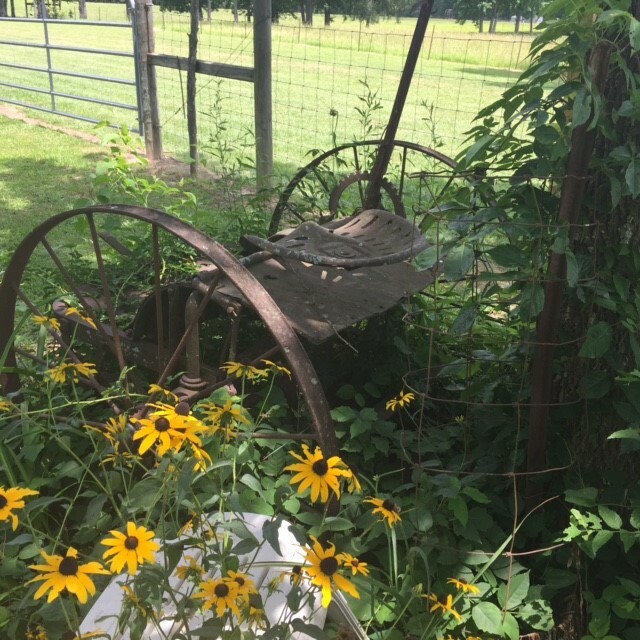 Every corner of the property located deep in rural Clay County (which I could never find again if my life depended on it), contains a memory of life in the last century. 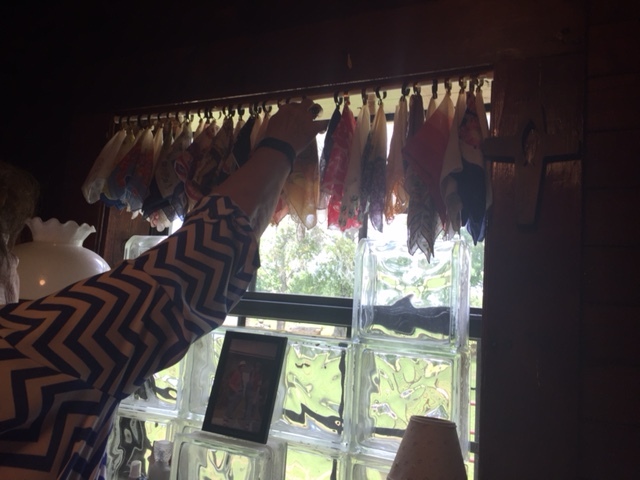 I collection of ladies hankies (once as critical as a handbag) were crafted into a window treatment. There is no item from the last century which cannot find a home here! Well done, Faye and Joey!!! 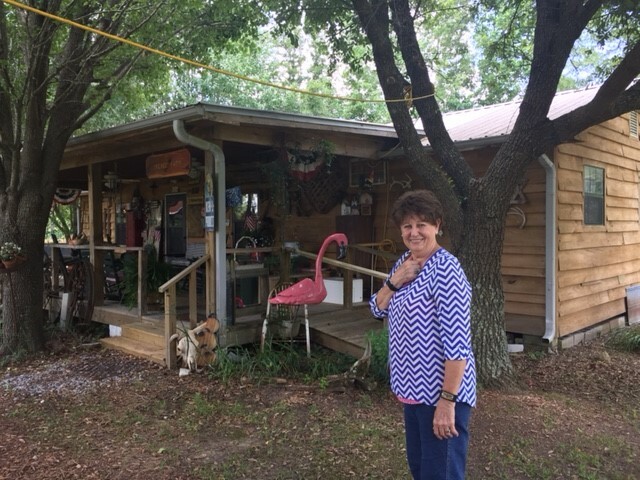 Their cabin is lovely and one of my favorite places on earth. Faye can see the beauty and a unique purpose in anything.